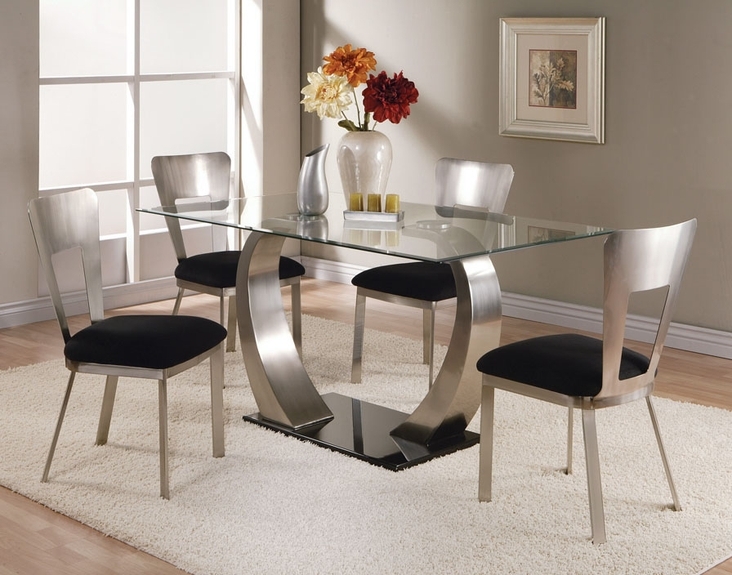 Bring unique charm and beauty to your home decor with this Camille Metal Collection by Acme Furniture. 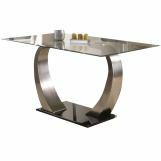 The table boasts 2 curved silver metal legs and a black, rectangular base. 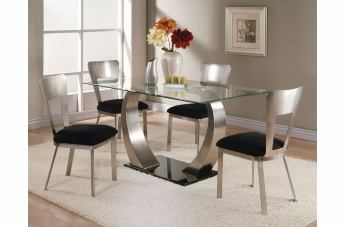 A sleek rectangular clear glass table top above offers a nice place to have breakfast or nook. 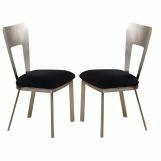 The adorable and unique designed Camille Metal Side Chairs with Cut-out Back will add a modern inviting appeal to the set. The chair seat is upholstered with black fabric, which is accented by metal base and back with an exclusive cut-out design that will be an eyecatching element of the chair. 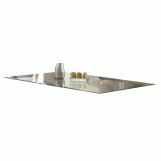 With its stunning and unique design, the set is sure to spice up your home decor.